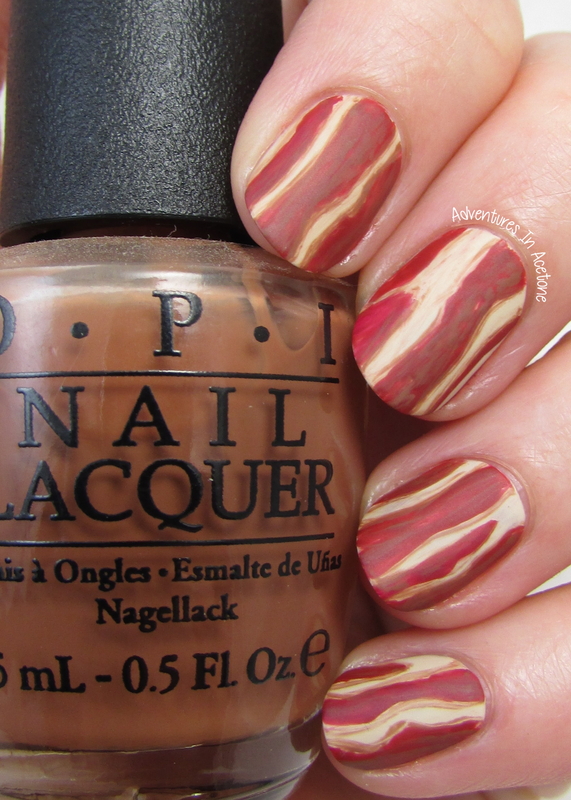 The Digit-al Dozen DOES Food, Day 5: Bacon! 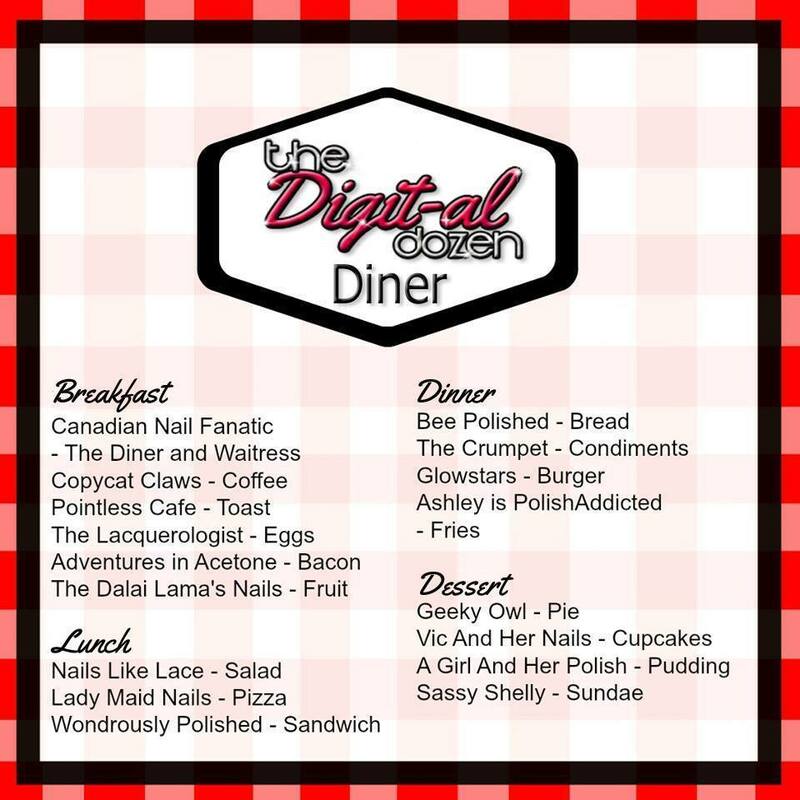 Good morning, and welcome to the final day of Food Week with The Digit-al Dozen! We have something special in store for you today. Check out the menu below, and thank you for coming to the Digit-al Dozen Diner. We hope you enjoy your meal! As you can see, each chef has their own Diner specialty menu item cooked up for today. As for me, it’s all about BACON! Bacon is the perfect addition to any of the other breakfast menu items, so don’t be shy–mix and match for your perfect meal. Crispy bacon, to be precise. There’s something about that crispy crunch, you can even crumble it over your eggs and toast. I started out with a few coats of OPI You’re So Vain-illa. Next, I grabbed my nail art brush and painted the irregular stripes of meat between the fat with OPI Romantically Involved. 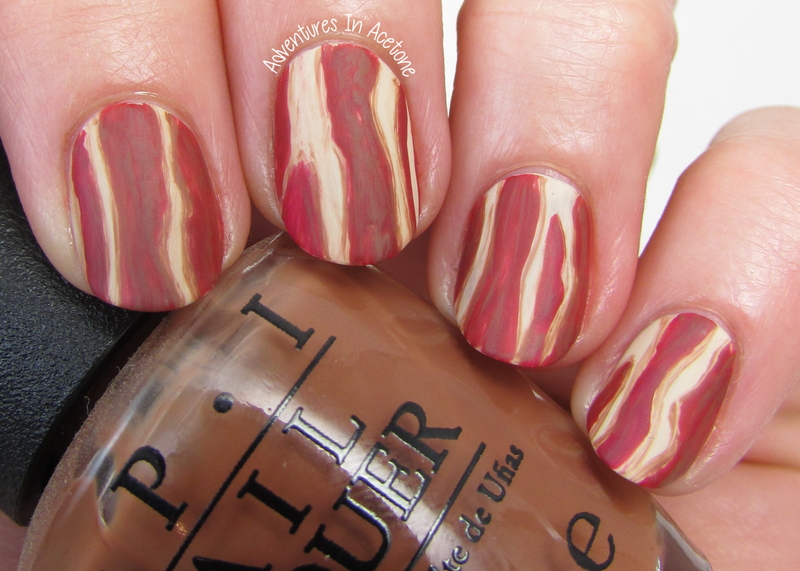 For some extra browning, due to the crispiness of the bacon, I added some details with OPI Ice-bergers & Fries. Girly Bits Polish Matte’rs was used to seal everything and take away the shine. I hope you enjoyed your meal and remember to tip your waitress. Don’t forget to follow the InLinkz below if you are still hungry and check out what the rest of our kitchen staff has cooked up. Mmmmmm! One of my favorites! !